My Razer keyboard keeps changing the default language on my system when Synapse is opened. Razer keyboards have a default language set in their firmware. 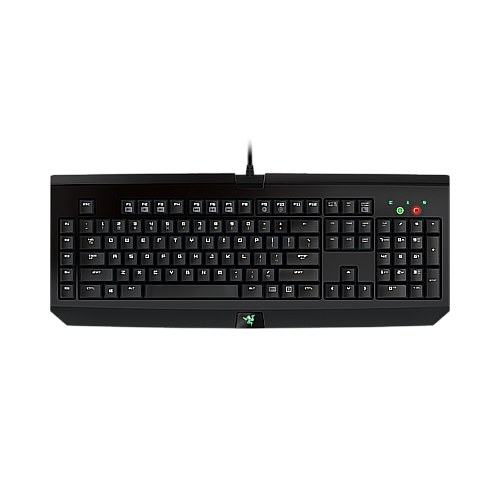 Once Razer Synapse loads up it will read the default language on the keyboard and set the system keyboard to that layout. To change the default layout, you'll need to go back into your system settings and change it to your preferred language layout after you restart your computer and start synapse. We are aware of this inconvenience and are looking into improving this in the future. My Razer product is out of warranty, can it be repaired? Due to the shipping and labor costs involved in performing manual repairs, Razer does not offer repair services for peripherals that are out of warranty. You may be able to find certain spare parts to keep your Razer gear in top shape from our accessories page: here. Product warranty lengths differ depending on your Razer product. For example, mice have a two year limited warranty, while keyboards have a one year limited warranty. Please see full details for warranty lengths: here. My Razer keyboard is out of warranty. Is there any way it can be repaired? Razer products are designed to work well beyond when the warranty has expired. However, If you feel your keyboard is having issues we first suggest trying the keyboard on another computer to insure the issue is with the keyboard and not something within the computer system. If you have narrowed the issue to the keyboard itself there is not really a cost effective repair center that would be able to assist you. Razer does make available some basic external spare parts at http://www.razerzone.com/store/gaming-accessories , but we are unable to supply any internal parts or repair guides. It is rare, but a light shot of air from a can of compressed air can sometime free debris that may be causing an issue. Can I use the Razer BlackWidow PC driver with the Mac layout of the Razer BlackWidow or Razer BlackWidow Ultimate? No, the Mac drivers and the PC drivers were designed to be used exclusively with the Mac layout and PC layout of the keyboard respectively. These drivers are not interchangeable. Do I need software drivers to use the Razer BlackWidow? You may use the standard keyboard functions by simply plugging the Razer BlackWidow to any available USB port on your computer. However you will need to download the software and drivers in order to enable advanced features such as macro recording and profile settings. Does the Razer BlackWidow have anti-ghosting capability? How about N-key rollover? Yes, the Razer BlackWidow features a gaming optimized key matrix that allows the recognition of up to six simultaneous key presses. N-key rollover (NKRO) only works with a direct connection to a native PS/2 port on the computer which provides for other limitations that USB overcomes. The Razer BlackWidow’s gaming optimized key matrix serves a similar purpose while using an ordinary USB port. How do I clean my Razer BlackWidow? How do I remove the key caps from my Razer BlackWidow? Razer does not recommend removing keycaps from the Razer BlackWidow. Several caps have springs that are very difficult to replace once the cap has been removed. Excessive force can also damage the key itself. If you desire to clean under the key caps, Razer suggests holding the unit upside down and/or using compressed air from a can. How many profiles can I save for my Razer BlackWidow? You can save up to 10 profiles and switch between them on-the-fly without the hassle of going into complex driver menus. What are the 5 extra gaming buttons used for? These are dedicated keys on the keyboard specifically designed to bind macros to or to reprogram into specific functions required by the user. Macros enable a user to program one button on a peripheral to perform a string of timed commands, whenever the button is pressed. Ultrapolling is a technology developed by Razer that heightens the frequency of the keyboard reporting actuation information back to the computer. When iTunes is minimized, the media player commands on the keyboard do not activate. How can I fix this? This is expected behavior from the iTunes software. The commands coming from your Razer Keyboard are standard multimedia key strokes and iTunes will respond to them only when it is active onscreen. We did find a link where other users discuss how to command iTunes when it is minimized using standard multimedia keys, however we cannot endorse, recommend or assist with any of the suggestions mentioned. Are the keyboards water-resistant? I need to clean the keyboard. The keyboards are not water resistant. Do not immerse the keyboards to clean them or place them in a dishwasher. They can be cleaned with compressed air. Spilling liquids on it can result in damage to the keyboard. When typing, one key will display duplicate characters at a single touch. How can I fix this? Go to the Control Panel under Keyboard and make sure that you have the correct language selected. If you were unable to find the answer to your question(s) in our FAQ, please don’t hesitate to contact us here or by call 1-888-697-2037. For a complete list of our current spare parts and accessories please click here. If the item you need isn’t listed, please don’t hesitate to contact our Customer Support team. How does Razer measure the polling rate (ultrapolling) and response rates of their keyboards and mice? I cannot find my Razer mouse or keyboard in Windows Device Manager under "Mice and other pointing Devices"
If you’re unable to find an FAQ article that helps resolve the issue, please contact our customer support team here.User guides and product manuals are also available on the Support page.